Maserati have retained some elements of the previous Quattroporte in the new model including the front grille, the three side vents and the triangular C-pillar. 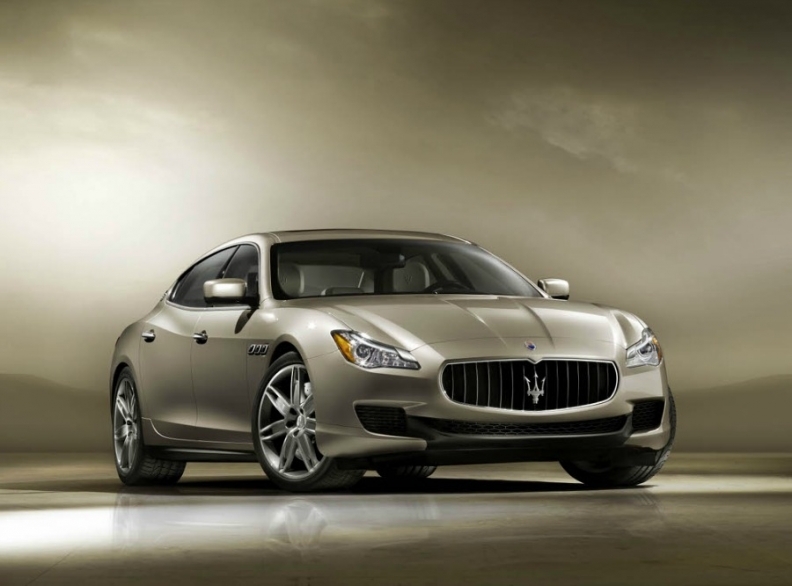 TURIN -- Maserati has increased the size of its new Quattroporte sedan as it seeks to target customers who traditionally buy long-wheelbase versions of Audi, BMW and Mercedes-Benz flagships. The revised model will grow from the current 5100mm to 5300mm, company sources have told Automotive News Europe, corresponding to larger variants of models including the Audi A8, BMW 7 series and the Mercedes S class, which are all between 5200mm and 5300mm long. The Quattroporte will debut at the Detroit auto show in January ahead of European sales in the spring and a U.S. rollout in the summer. 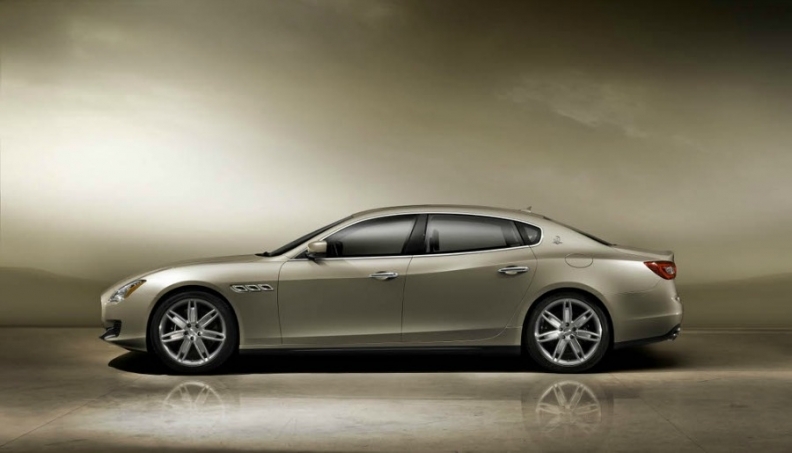 The luxury sedan forms a vital part of Fiat-Chrysler CEO Sergio Marchionne's bold plan to boost Maserati sales to 50,000 units a year by 2015 from 6,159 last year. The company hopes to achieve annual sales of 12,000 Quattroportes, over twice the 5,088 delivery peak recorded by the current model in 2007. The new Quattroporte grows 200mm to compete with larger variants of models including the Audi A8, BMW 7 series and the Mercedes S class. Maserati has released pictures of the new Quattroporte, ahead of its Detroit debut, but did not release any technical details for the new car, except to reveal it will be powered by a new V-8 engine, producing 530 hp. An all-wheel-drive version powered with a new V-6 unit will also be offered. In a statement on Tuesday, Maserati design boss Lorenzo Ramaciotti said that some of the elements from the previous Quattroporte model have been intentionally retained on the new car, such as the front grille, the three side vents and the triangular C-pillar. 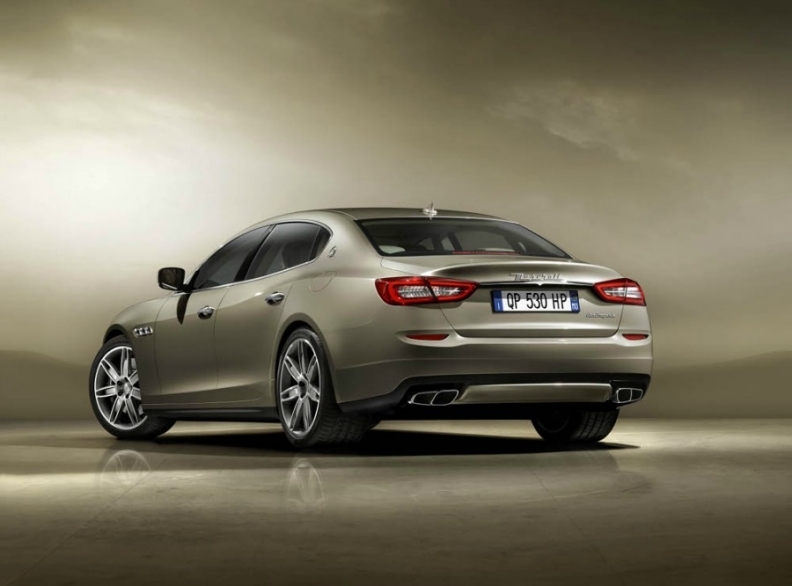 "At the same time new style and functional features were introduced: the strong belt line that runs through the entire side of the car giving the new Quattroporte a look and feel that is at once muscular and elegant with frameless doors and three side windows," Ramaciotti added. Maserati plans to unveil a mid-sized four-door sedan called the Ghibli at either the Geneva auto show in March or at the Shanghai auto show in April. At around 5000mm long, the Ghibli will compete with luxury offerings including the Audi A6 and BMW 5 series. The new Quattroporte and the Ghibli will be built in Officine Maserati Grugliasco (OMG), the former Carrozzeria Bertone plant Fiat bought three years ago. A third model, the Levante, will be the company's first SUV and was first previewed as the Kubang concept. The SUV will be built in Fiat's Mirafiori plant in Turin, Italy, using underpinnings shared with the Jeep Grand Cherokee. Production will begin in 2014. The Quattroporte, Ghibli, and Levante, will join the current GranTurismo coupe and the GranCabrio convertible models in completing Maserati's lineup. Maserati CEO Harald Wester, who also serves as Chief Technology Officer at Fiat-Chrysler, as well as CEO of Fiat Group's Abarth and Alfa Romeo brands, believes the group's investment in the luxury marque will pay good returns for the Italian carmaker. "We plan a two-digit operating margin by 2015 from 6.8 percent last year," Wester said in an interview with Automotive News Europe earlier this year. Wester says he expects revenues at the unit to grow 6.5 to 7 times to around 4 billion euros ($4.95 billion) by 2015. "Shareholders committed over 1 billion euros ($1.28 billion) investment to Maserati, a sign they strongly believe in what we are doing," the CEO added.